Copy handed to me by the author at Kidlitcon! Nessa lives with her mother, her younger sister, and her younger brother who is on the autism spectrum in Michigan. Her mother is a veterinary technician, and the family struggles financially. Nessa wants to escape her small town, which had been the site of chemical dumping, although the company responsible is bought by Paravida, a company that promises to make reparations. The only hope she has is to improve her times at cross country in order to get a college scholarship to run. She's on track to do this, until she tries to free a wolf from a trap while on an evening run, and is attacked and bitten by another wolf. Her recuperation goes better than expected, and her times even improve. This is great... until she grows fur. Luckily, one of her mother's friends has some inclination towards the supernatural, and puts her in touch with Chayton, a young shaman who helps her come to terms with her shape shifting and gives her some strategies for dealing with it. In the meantime, she has to deal with her crush on high school soccer star Cassian, as well as her brother's appointments at a clinic run by Paravida, appointments that seem more and more dangerous, especially when another young boy dies suddenly. Not only does Nessa have to deal with her shape shifting and college plans, but with a dangerous threat to her town. Strengths: Nessa's struggles to get an education by working hard at running are wonderful, and this is a great story for girls who want to "read up" in middle school. The crush on Cassian is sweet and appropriate, and there are a few "mean girl" moments with another runner. I liked the mystery with Paravida, and thought that the company's involvement in the population of a small town was interesting. 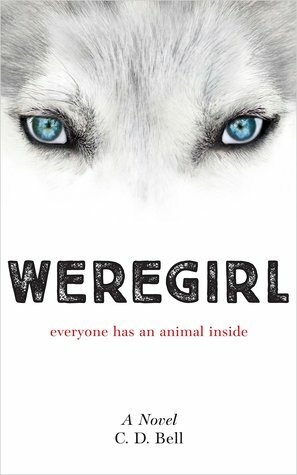 Even though the days of lots of students wanting werewolf books are over, the gorgeous cover on this one will definitely get picked up by readers who still want books like Shiver, Claire de Lune and Rachel Hawthorne Jennifer Lynn Barnes, and Ellen Schreiber's werewolf series. Weaknesses: There was a lot going on in this story. I would almost rather have had the cross country running paired either with the werewolves OR with the evil corporation. Both made it a little confusing. What I really think: I know three readers to whom I can hand this the minute it gets processed for the library!